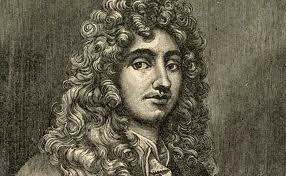 Christian Huygens was born at the Hague on April 14, 1629, and died in the same town on July 8, 1695. He generally wrote his name as Hugens, but I follow the usual custom in spelling it as above: it is also sometimes written as Huyghens. His life was uneventful, and there is little more to record in it than a statement of his various memoirs and researches. In 1651 he published an essay in which he shewed the fallacy in a system of quadratures proposed by Grégoire de Saint-Vincent, who was well versed in the geometry of the Greeks, but had not grasped the essential points in the more modern methods. This essay was followed by tracts on the quadrature of the conics and the approximate rectification of the circle. In 1654 his attention was directed to the improvement of the telescope. In conjunction with his brother he devised a new and better way of grinding and polishing lenses. As a result of these improvements he was able during the following two years, 1655 and 1656, to resolve numerous astronomical questions; as, for example, the nature of Saturn's appendage. His astronomical observations required some exact means of measuring time, and he was thus led in 1656 to invent the pendulum clock, as described in his tract Horologium , 1658. The time-pieces previously in use had been balance-clocks. In the year 1657 Huygens wrote a small work on the calculus of probabilities founded on the correspondence of Pascal and Fermat. He spent a couple of years in England about this time. His reputation was now so great that in 1665 Louis XIV. offered him a pension if he would live in Paris, which accordingly then became his place of residence. In 1668 he sent to the Royal Society of London, in answer to a problem they had proposed, a memoir in which (simultaneously with Wallis and Wren) he proved by experiment that the momentum in a certain direction before the collision of two bodies is equal to the momentum in that direction after the collision. This was one of the points in mechanics on which Descartes had been mistaken. The most important of Huygens's work was his Horologium Oscillatorium published at Paris in 1673. The first chapter is devoted to pendulum clocks. The second chapter contains a complete account of the descent of heavy bodies under their own weights in a vacuum, either vertically down or on smooth curves. Amongst other propositions he shews that the cycloid is tautochronous. In the third chapter he defines evolutes and involutes, proves some of their more elementary properties, and illustrates his methods by finding the evolutes of the cycloid and the parabola. These are the earliest instances in which the envelope of a moving line was determined. In the fourth chapter he solves the problem of the compound pendulum, and shews that the centres of oscillation and suspension are interchangeable. In the fifth and last chapter he discusses again the theory of clocks, points out that if the bob of the pendulum were, by means of cycloidal clocks, made to oscillate in a cycloid the oscillations would be isochronous; and finishes by shewing that the centrifugal force on a body which moves around a circle of radius r with a uniform velocity v varies directly as v² and inversely as r. This work contains the first attempt to apply dynamics to bodies of finite size, and not merely to particles. In 1675 Huygens proposed to regulate the motion of watches by the use of the balance spring, in the theory of which he had been perhaps anticipated in a somewhat ambiguous and incomplete statement made by Hooke in 1658. Watches or portable clocks had been invented early in the sixteenth century, and by the end of that century were not very uncommon, but they were clumsy and unreliable, being driven by a main spring and regulated by a conical pulley and verge escapement; moreover, until 1687 they had only one hand. The first watch whose motion was regulated by a balance spring was made at Paris under Huygens's directions, and presented by him to Louis XIV. The increasing intolerance of the Catholics led to his return to Holland in 1681, and after the revocation of the edict of Nantes he refused to hold any further communication with France. He now devoted himself to the construction of lenses of enormous focal length: of these three of focal lengths 123 feet, 180 feet, and 210 feet, were subsequently given by him to the Royal Society of London, in whose possession they still remain. It was about this time that he discovered the achromatic eye-piece (for a telescope) which is known by his name. In 1689 he came from Holland to England in order to make the acquaintance of Newton, whose Principia had been published in 1687. Huygens fully recognized the intellectual merits of the work, but seems to have deemed any theory incomplete which did not explain gravitation by mechanical means. On his return in 1690 Huygens published his treatise on light in which the undulatory theory was expounded and explained. Most of this had been written as early as 1678. The general idea of the theory had been suggested by Robert Hooke in 1664, but he had not investigated its consequences in any detail. Only three ways have been suggested in which light can be produced mechanically. Either the eye may be supposed to send out something which, so to speak, feels the object (as the Greeks believed); or the object perceived may send out something which hits or affects the eye (as assumed in the emission theory); or there may be some medium between the eye and the object, and the object may cause some change in the form or condition of this intervening medium and thus affect the eye (as Hooke and Huygens supposed in the wave or undulatory theory). According to this last theory space is filled with an extremely rare ether, and light is caused by a series of waves or vibrations in this ether which are set in motion by the pulsations of the luminous body. From this hypothesis Huygens deduced the laws of reflexion and refraction, explained the phenomenon of double refraction, and gave a construction for the extraordinary ray in biaxal crystals; while he found by experiment the chief phenomena of polarization. The immense reputation and unrivalled powers of Newton led to disbelief in a theory which he rejected, and to the general adoption of Newton's emission theory. Within the present century crucial experiments have been devised which give different results according as one or the other theory is adopted; all these experiments agree with the results of the undulatory theory and differ from the results of the Newtonian theory; the latter is therefore untenable. Until, however, the theory of interference, suggested by Young, was worked out by Fresnel, the hypothesis of Huygens failed to account for all the facts, and even now the properties which, under it, have to be attributed to the intervening medium or ether involve difficulties of which we still seek a solution. Hence the problem as to how the effects of light are really produced cannot be said to be finally solved. Besides these works Huygens took part in most of the controversies and challenges which then played so large a part in the mathematical world, and wrote several minor tracts. In one of these he investigated the form and properties of the catenary. In another he stated in general terms the rule for finding maxima and minima of which Fermat had made use, and shewed that the subtangent of an algebraical curve f(x,y) = 0 was equal to , where is the derived function of f(x,y) regarded as a function of y. In some posthumous works, issued at Leyden in 1703, he further shewed how from the focal lengths of the component lenses the magnifying power of a telescope could be determined; and explained some of the phenomena connected with haloes and parhelia. I should add that almost all his demonstrations, like those of Newton, are rigidly geometrical, and he would seem to have made no use of the differential or fluxional calculus, though he admitted the validity of the methods used therein. Thus, even when first written, his works were expressed in an archaic language, and perhaps received less attention than their intrinsic merits deserved.